If you’ve been on social media lately, chances are you’ve noticed more and more mention of the topic of introverts and extroverts. Why all of this increased focus on personality types (and especially about the topic of introversion)? Well, my guess is that it started, at least in part, when Susan Cain published her bestselling book Quiet: The Power of Introverts in a World that Can’t Stop Talking. First of all, it’s important to put away any stereotypes you may have heard about either of these two personality types. In general, introverts tend to have a more negative stereotype since being extroverted has become the ideal personality for much of modern North American culture. Stereotypes exist for extroverts, too, though, and no stereotype can accurately capture the diverse array of characteristics that make people of both personality types unique individuals. It would be impossible to cover the difference between these two personality types in one blog post, but I’ll try to summarize a few of the basic differences. For an in-depth description of the ways that extroverts and introverts relate to the world in different ways, I would definitely recommend reading Quiet. I think that book should be recommended reading for everyone because everybody either is an introvert themselves or has somebody close to them who is one. If you want to learn more about which personality type you are, one of my favorite online resources is this free online test from the Personality Hacker website. This one is great if you’re like me and you like to have more details about your personality type because it will let you know whether you’re an introvert or an extrovert, but it will also give you lots of other information about your personality, too. 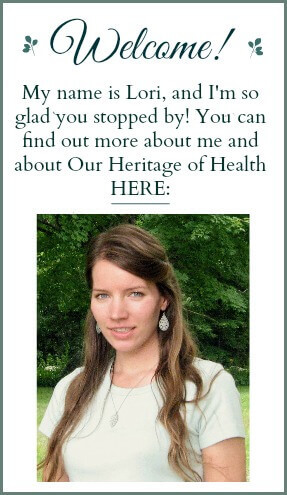 How Does Knowing Which Type You Are Affect Your Health? 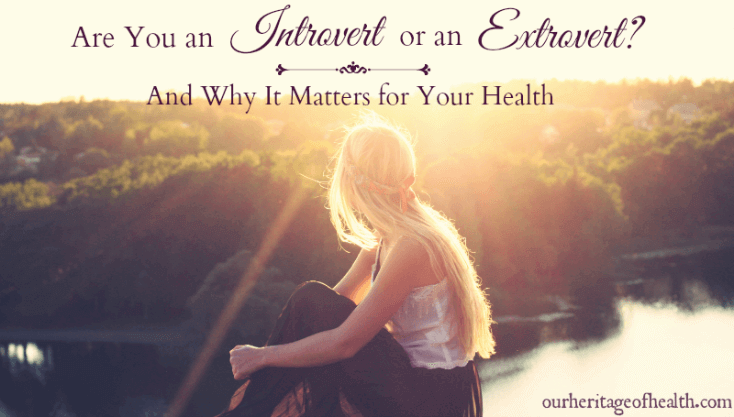 So, why does knowing whether you’re an introvert or an extrovert matter for your health? It matters because the more you are aware of the unique preferences and needs that go along with your personality type, the more you are able to meet those needs and support the health of your body, mind, and spirit. 1) You can understand yourself better and accept yourself. It’s hard to achieve an optimal level of health if you are constantly living with the feeling that something is wrong with you and that it is not acceptable for you to be who you are. Whether you are an introvert or an extrovert, if you have a better understanding of your unique personality traits you can accept those qualities about yourself and learn to embrace the strengths and find ways to manage the challenges that come along with your personality type. 2) You can meet your unique needs for socializing and downtime. Knowing whether you are an introvert of an extrovert will allow you to support your health by helping you to find the best levels of social activity and stimulation for you. If you’re an introvert, this might mean making sure you don’t over-schedule yourself with too many activities in the same day or the same week. It might mean allowing yourself to have a quiet night at home without feeling guilty about it or scheduling small breaks during the day when you can “recharge your batteries” if your energy is getting low. If you’re an extrovert, it might mean making sure you schedule enough social events into your calendar so that you can go out of the house and be around people to recharge your energy. It might mean keeping busy and involved in enough activities so that you don’t start to feel bored and “stuck” with the same routine all the time. 3) You can improve your relationships with others. 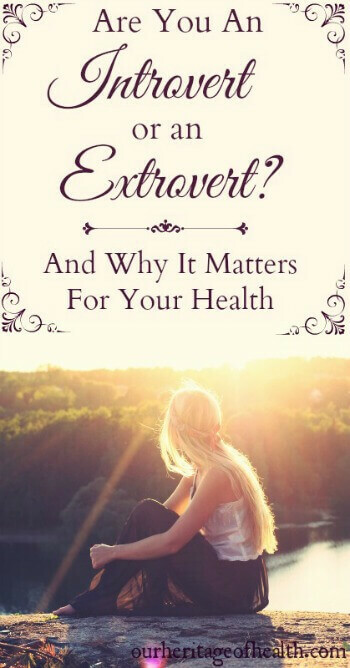 If you are aware of the differences between introverts and extroverts, you can better understand your family members and friends and accept the things about them that are different from yourself. If you’re an extrovert, you can improve your relationship with the introverts in your life by accepting their need for downtime and realizing that they will reach their optimal level of socialization and stimulation much earlier than you will. And if you’re an introvert, you can improve your relationship with extroverts by understanding that they will probably want to stay at a party much longer than you will and that having too many quiet evenings at home in a row will make them go stir crazy. And rather than being upset or annoyed by the differences between you, you can work toward accepting those differences in each other and gain a better appreciation for the strengths that go along with those differences in personality. Which personality type fits you the best? Are you an introvert or an extrovert? And if you like reading posts about personality types, you can read more in my second blog: Redefining Quiet – A New Definition of Quiet for Introverts and Highly Sensitive People.